Accumulating research proves what you’ve known all along: Quiet time in nature makes you feel refreshed and relaxed. Because of its physical and mental benefits, ecotherapy is an integral part of Dr. Borislava Johnson’s holistic practice. When you visit Natural Remedes, you might leave with a prescription to head outdoors. To learn more about nature therapy in the Cypress and Northwest Houston, Texas, area, schedule an appointment at Natural Remedes online or over the phone. Ecotherapy is the practice of spending time in nature for its therapeutic benefits. Exposure to natural sunlight and green landscapes provides several mental and physical benefits. Ecotherapy incorporates mindfulness and physical activity to produce those benefits. Dr. Johnson prescribes nature therapy as part of your overall health assessment plan. Everyone can benefit from nature therapy, but people with certain conditions show marked improvements. What are the medical benefits of ecotherapy? Before looking at the benefits of time in nature, it’s helpful to look at the repercussions of disconnection from the environment. Anxiety, depression, loneliness, and frustration are persistent problems for those deprived of nature. Calm, refreshing natural landscapes allow people to reconnect with their primal instincts and environments. Nature exposure also provides relief from the stresses of modern life. Melodious streams, chirping birds, reviving sunlight, and green growth improves overall mood and enjoyment of life. How do I practice ecotherapy? It boils down to unplugging and spending time outdoors. You can walk in the park, sit in a green courtyard, rest under a tree, or spend a weekend camping. Something as simple as incorporating natural elements into your living environment counts as ecotherapy, too. Research in ecotherapy explores the way natural fruit fragrances, indoor plants, nature photography, well-lit rooms, guided nature imagery, and window views create positive effects even when you can’t go outside. Dr. Johnson can also help you develop an ecotherapy regimen and incorporate it into your ongoing treatments. 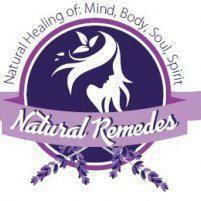 To set up an appointment and learn more about ecotherapy, contact Natural Remedes online or over the phone.